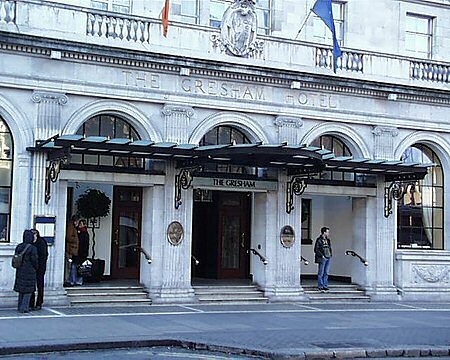 Rebuilt (1925-27) after the ravages of the Civil War, the Gresham Hotel is a Dublin landmark. 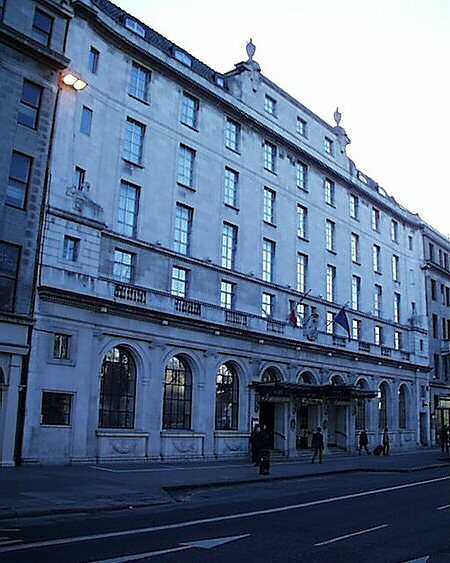 It was designed by Robert Atkinson (b Wigton, Cumbria, 1 Aug 1883; d London, 26 Dec 1952), an English architect who was Director of the London Bartlett School of Architecture. 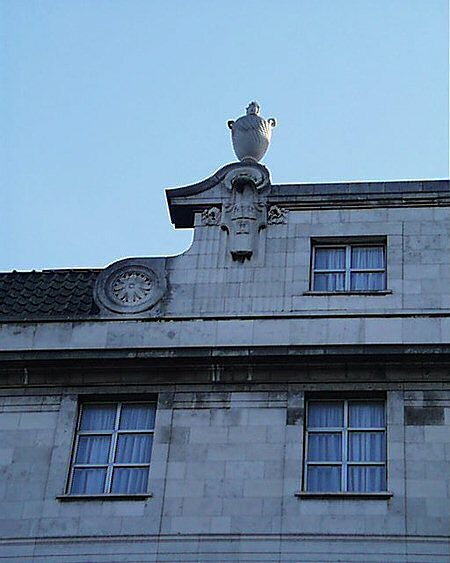 In line with many of the later building on this stretch of O’Connell Street, it has quite a restrained almost austere façade. 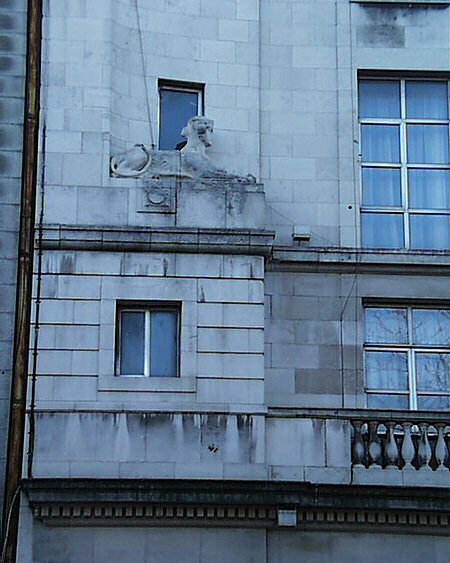 The ornament has almost been completely removed leaving a stripped Classical style. This style was quite popular in Dublin, especially on O’Connell Street.